Gather web-based information on solar and geomagnetic conditions. Is there a better alternative to DX ToolBox? Is DX ToolBox really the best app in Teaching Tools category? Will DX ToolBox work good on macOS 10.13.4? DX Toolbox searches the Web for you, gathering information on solar and geomagnetic conditions that affect radio propagation. Note: version 5.x is a paid upgrade. To upgrade, go here. Added NDB log, and log map windows. Added search window for logbook. 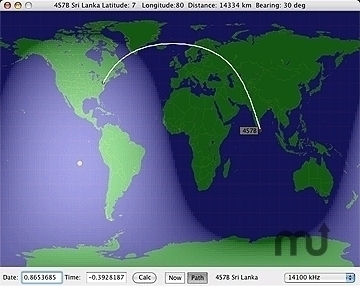 Added other transmissions with the same frequency/station/language/country/target window. DX ToolBox needs a rating. Be the first to rate this app and get the discussion started!